Birdshot has been chosen as the official entry from The Philippines in the Foreign Language Film category for the 2018 Academy Awards. Birdshot uses the political ideology of Asian Values to critique the idea of nation and national identity construction. In the 1990s, there was a rise of a political ideology in Southeast and East Asian countries, defining the notion of history, society, and culture. The term used to refer to this political ideology is Asian Values. It is a framework used to advocate principles such as collectivism, communitarianism, and social harmony. More than an effort to define Asia, it functions as a post-colonial and anti-West critique. Today, Asian values remain relevant among dictator governments (propagandists and populists), anti-neoliberal groups (deglobalization and minimalization), and post-colonial advocates (essentialists and pro-indigenization) (Zakaria, 2002, p. 39; Dallmayr, 2002; Thompson, 2004). Birdshot uses the ‘Asian Values’ ideology as the foundation of its critique and argument on how societies construct the nation and the national identity. It tells the story of how authorities trample people’s fundamental rights, triggered by a desire to protect national security, national image, and a national artifact. The film delivers a strong message on how poor Asian nations would willingly sacrifice the lives of its people in their aim to establish a complete, if weak, national identity. Set in a poor rural area, Birdshot tells the story of a young woman learning the ropes of hunting, with her father’s guidance. Trying to prove her worth, she roams around in a protected area and unknowingly kills the much safeguarded Philippine eagle, the country’s national bird. We are also introduced to another character, a newly appointed policeman, whose journey in the force is about to begin. His passion and idealism lead him to investigate the killings of farmers, which is in violation of his superiors’ directives. The two characters meet when the policeman is cowed into investigating the death of the eagle rather than the killings of the farmers. In the end, the film tackles the government’s hypocrisy of constructing the notion of a nation at the expense of its citizens, especially those found in the margins of the society. The use of Asian values as a framework for the criticism of Western ideologies is nothing new. In the book Human Rights and Asian Values: Contesting National Identities and Cultural Representations in Asia, the authors identify how the concept of Asian values has been used to criticize various notions and ideologies perpetuated in the West. One of the five categories they list down is the preference of basic rights over political rights. The authors write that under the discourse of Asian values, “Political rights thus become subordinate to feeding and clothing the populace and the worker’s right to form unions is secondary to a system of stability and efficient production” (Bruun & Jacobsen, 2003, p. 3). Portrayed in the Birdshot is the question of whether the poverty and ignorance of the young girl justifies the killing of a national bird. Is it right to punish the poor for finding sustenance in the nature they regard as home? Is it not hypocritical that while birds are protected and fed in a government-owned shelter, citizens are hungry and landless? Why are the government’s limited resources poured into investigating the death of a bird instead of the murder of tens of farmers? The rural life of the main characters in the film represents the life of majority of Filipinos. Living in agricultural lands, devoid of notions of popular art, popular culture, and national identity; they have little to no regard to of law and justice. They do not and cannot work under the premise of the modern state because it is a struggle for them to suffice their basic human needs. If they, out of desperation, try to play by the rules of the modern society, they end up as rotting cadavers fed to the national birds. Birdshot comments on the unnecessary and often unjust road needed to create the notion of nation. Force is an element essential to building the nation. For scholars engaged in the study of public memory and national identity, constructing national identity requires forgetting individuality and diversity in the society (Bruner, 2005, pp. 315-316). It is an act that requires people to create a singular and universal notion of the nation, prompting them to dismiss their self-defined idea of their identity and nation. The film’s use of the police force acts as an allegory for the authoritarian and dictatorial nature means by which national identity is constructed. A certain level of force and coercion is employed to “teach” the citizens about symbols of the country (for instance, Philippine eagle), patriotism, respect for authority, and submission to the social order. Although the police force is (figuratively) rotten inside, and considered dangerous, they are critical to the exercise of constructing national identity. The film says that a nation disregarding its marginalized sector is one that is flawed and weak. In the film’s story, the woman, the child, the elderly, the poor, and the farmers were are deliberately taken out of the narrative in nation-building. We see high ranking police forces and powerful landowners controlling the society, and by extension, the image of the nation. 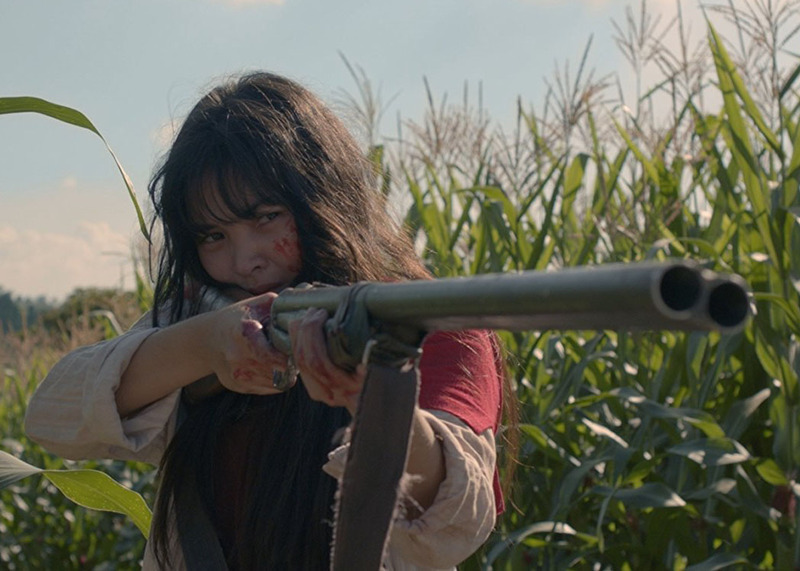 Birdshot’s bid for the Academy Awards sends a strong political message on the rise of ultra-nationalism both in the Philippines and the international political scene. Its use of Asian Values as a framework to criticize a local and global political phenomenon adds to the on-going discourse on the rise of fascism, populism, and nationalism. Forming a new narrative based on an established political ideology gives depth to an already visually and aesthetically beautiful movie. The film uses obvious and covert symbols to deliver its message to the audience. It takes a strong stand on how governments and societies must balance their search for and construction of national identity with the immediate task of providing for their people. It portrays how countries today, specifically the Philippines, have become hypocritical in their efforts to define the concept of nation. The “higher” pursuit of defining the self and the identity should not compete with the most basic task of protecting the rights of the people. 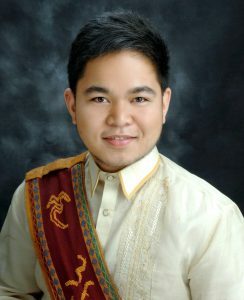 Heinrich Domingo is a graduate student of Media Studies (Film) at the University of the Philippines Diliman. He critiques films at Cinetactic.